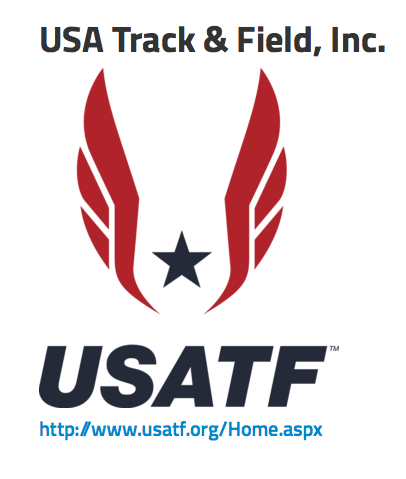 Running Coach, Online -National/Worldwide, Local/In-Person - Woodbridge, NJ. I met Maria through Team in Training (TNT). She has gone from being a new marathon runner to an inspiration and role model to our new participant who would like to learn how to train smart. I am so proud to know Maria and look forward to my runs with her week after week. Team in Training is a program for marathon runners who raise thousands and thousands of dollars in 20 weeks for Cancer research while recieving the perk of coaching while they train for a marathon. It is a huge endeavor and an amazing accomplishment in it's own right. I have been assisting TNT as a Training Captain, Assistant Coach, and now a Coach since 2010 to help support the running side of these runner's goals. I have been able to work with some phenomenal people through TNT and want to share some of their race reports here on Creating Momentum! I first met Maria Marquette when she was training for her first marathon under the leadership and wisdom of Coach Sue Mitchell, Coach Alanna Garrison-Kast, and myself. Over the past year or more, I have spent many training miles with Maria, witnessing her complete the longest runs of her life, discovering her first Gel (hilarious by the way... there are no words to describe this), completing her first marathon, and then her first 50k. Maria went from being a typical runner who worked hard to try to complete the mileage on her training plan, to a TNT Training Captain who is now able to show up at any training run and drop 20-22 milers without any notice. She has been one of our most reliable Captains, showing up at almost all of our trainings. It seems to me that she has been able to learn that if you run consistently and train smart, you can run far often without issue. After her marathon, she had asked me what she should be doing. She had no races planned and just loves to run. Her minimum mileage goal for our TNT group runs is alway 10 miles, unless runners have more. Over time, I watched her easily tackle 12, 15, 18, 20, 22 milers just because a new TNT participant needed a training partner and she could now do this without stress or strain. I had discussed with her my thoughts that runners today often are forced to do things backwards. We are rushed into registering for races month and month in advance to secure low prices or get in before a race closes. THEN we train for it and hope it goes well. That is a lot of pressure. I suggested instead of picking a new race, she run happily and allow her body to dictate the mileage, build up to high mileage comfortably, and when she feel ready, THEN find a race, sharpen up and go for it. The One Day At The Fair was my first real Ultra running experience. There were several races in progress at the same time which was nice since there were many runners to pass the miles with. I chose the 24 hour option as I wanted to complete 50 miles without being limited by time. I was able complete 65 miles in 17+ hours (I started late. Explanation to follow) with plenty of time for more. My limiting factor (as I suspected) was the lack of sleep. Had I not been so very tired , I think I could have done 75 miles. One can only drink so much coffee without consequences. This was the perfect course to do so and in fact, I plan on returning in the Spring for 75+. As a fairly new runner and a brand new ultra runner, I felt that the one mile loop was perfect in every way. Others asked if this would become monotonous. It never did. Access to food and fluid was no problem. There was a continuous feast with food to accommodate every diet imaginable and it was in the perfect location for runners to grab and go or request something for the next loop. The course was basically flat with two slight upgrades and was well lit for the most part. Actually, it was so pleasant that it didn't even seem like a mile. Bathrooms with full accommodations were located directly across from the food area. I appreciated this easy access to run in and out so that I could return quickly to running There was plenty of parking along the course which was a big plus for me as I could run by my car and grab more layers as needed. I got lost on the way to the race and was about 30 minutes late. I was concerned that this would negatively affect my race. However, a volunteer quickly lead me to the registration area, mapped out the course, and I was on my way. I had already received a full description of the course including where to park from Shannon McGinn prior to race day. My late arrival had no impact on my race as I had a mental image of the course and spotted her landmarks immediately. I was able to park right where she suggested. This leads me to the other reasons that contributed to my good experience. I have been running with Shannon for about a year now with another organization (she donates her time and experience). I am the runner I am today as a result of this (she will deny that). Every Saturday our group long run is a relaxed, enjoyable, educational experience thanks to her. Each one starts the same way, with Shannon asking how everyone is doing, what questions they have, or what difficulties they are experiencing. Then , while we are all enjoying each others company, the knowledge flows. I have learned what to do, what never to do, and what changes to make that work for me. I feel as if I have read novels on how to be a better runner, yet I have never opened a book on the subject. Shannon knows her runners well; better than they know their "runner" selves. She tailors her suggestions to their abilities. 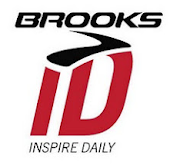 I have followed her advice on hydration, nutrition, clothing, when to walk, when to run, and when and what to eat, throughout the past year and for this race. As a result, I had the best possible experience I could have had. She said Maria, "You can do this". She was right. She always is. I was well prepared because I had good coaching. I picked this race at the last minute. I was training with the group and realized that I was training well. I told Shannon that other people were asking me what I was training for and I had nothing planned. I felt silly. I was just running for the love of running. Shannon commented that this is the perfect way to train. She explained that picking a race AFTER you have trained hard and well, is the smart thing to do. I no longer felt silly and found a race. I realized that she was right. It was so much more pleasant and fun to train this way. The stress of hitting the weekly mileage according to the plan was removed. I was running more miles this way, than I was when I was following a plan. Most importantly I have learned how to run injury free by following Shannon's advice. I have noticed that she is never injured. And with all of the racing she does, this seems amazing. But it makes perfect sense. She has taught me how to safely increase my weekly mileage and I have reaped the benefits of her instruction. I am proud of my personal accomplishment. Instead of saying "I could never run that many miles" I am saying "yea lets do that". Now it is other people who say to me "I could never do what you do" and I have to laugh. I love the runner that I have become. I owe a great deal to Shannon McGinn. I am a better runner because of her. To this, she will say "I'm not doing the running for you Maria. It's all you". Great story Maria! I'm so happy for you and your accomplishments! I couldn't agree with you more about the pressure of signing for races early. For the most part, I pretty much never do this anymore and I don't get sucked into signing up for stuff through peer pressure. My body is changing as I age in my mid-40s and I'm not as resilient as I once was and other than pacing a marathon next year, I have absolutely no race plans. Love not having the pressure. 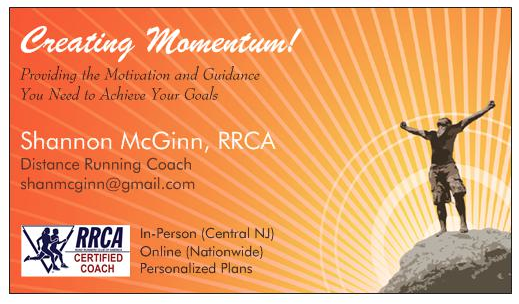 Running Coach, Online and In Woodbridge NJ - For Performance or Health & Wellness. Runners training with Creating Momentum receive a 15 % discount from online orders placed with Running Warehouse. Discount code will be provided upon requests made by current clients. This discount is subject to availability of active code.